How To Grow Your Blog With Focus & Plan? Blogging can be the best home business for you. To make it profitable, you must always be blogging on your domain about your works or environs that interests you the most and you find useful for others also. Read – Will I Make Money If I Start My Website? 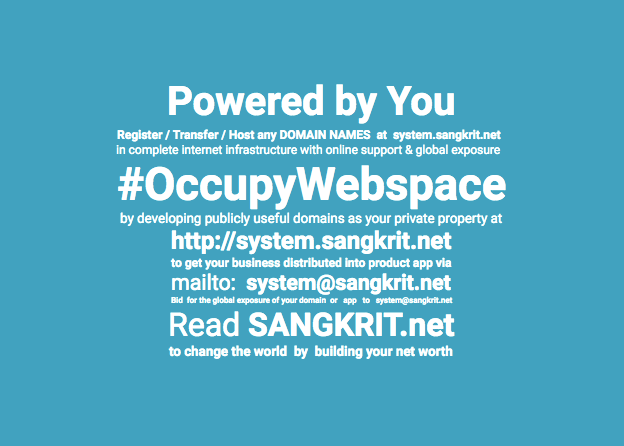 You simply start by registering or transferring your domain to SANGKRIT.net and then subscribe Managed WordPress to startup your blogging website in minutes – start from here. People start blogging by posting on things that interest them and with useful posts on regular basis, they start to make money via Google Adsense and other online earning programs. Blogging on random things might bring you some visitors. But without any focus, your intentions become unclear and this result in visitors that don’t return to your website intentionally. Posting in a niche that interests you the most helps you to grow your traffic and make your domain more popular on the Internet. The reason is when someone comes to your website for reading some post, he would surely like to read more posts under the same category. Who are you blogging for, your target audience? This cornerstone will make it easier for you to get new ideas and brand yourself as a blogger.